According to officials from the Delaware County Board of Elections, the Aug. 7 special election for Ohio’s 12th Congressional District will run as any other election with the full complement of precincts and workers. BOE officials estimate it will cost $200,000 to run the election for the county. Karla Herron, Delaware County Board of Elections director, apprised the board about the upcoming special election during its June 12 regular meeting. Herron reported that it appears as if 48 percent of this year’s budget has been spent because of the poll workers pay for the special election being included in the total. The August special election is to fill the remainder of Rep. Pat Tiberi’s, R-Genoa Township, term expiring Jan. 3, 2019. 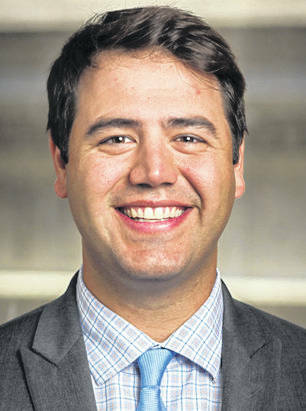 Tiberi resigned from Congress in January to take a position as the new head of the Ohio Business Roundtable. 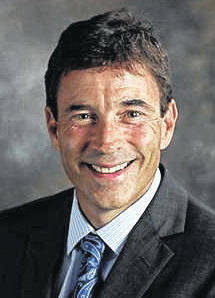 Voters of Ohio’s 12th Congressional District will decide between Troy Balderson, R-Zanesville, and Danny O’Connor, D-Columbus, to replace Tiberi during the Aug. 7 special election. Since the election has to run as any another regular election, the BOE is required to fully staff all 159 voting precincts, which are spread out over 48 voting locations. According to Ali Solove, elections support specialist, by statute, the board is required to provide 754 poll workers for elections, but usually employs beyond the required number to help maintain shorter lines and get voters in and out as quickly as possible on election day. She said the board has people that have been poll workers for years, but this election falls during a time when people are scheduled for vacations, making it tough to find volunteers. Solove said the board is also recruiting high school seniors to help at the polls on election days. “The keywords are they have to be seniors and 17 (years of age),” she said. Solove added poll workers receive a base pay of $150 for their service on election day. For more information, contact the Delaware County Board of Elections, 2079 U.S. Route 23, Delaware, by phone at 740-833-2080 or by email at delawarepollworker@co.delaware.oh.us. As for turning away volunteers if they have more than needed, it won’t happen. “We don’t usually turn anyone away,” Herron said in a previous report. This entry was tagged August 7, Balderson, D. Anthony Botkin, Delaware County Board of Elections, Herron, O’Connor, Ohio 12th Congressional District, Solove, Special Election, Tiberi. Bookmark the permalink.